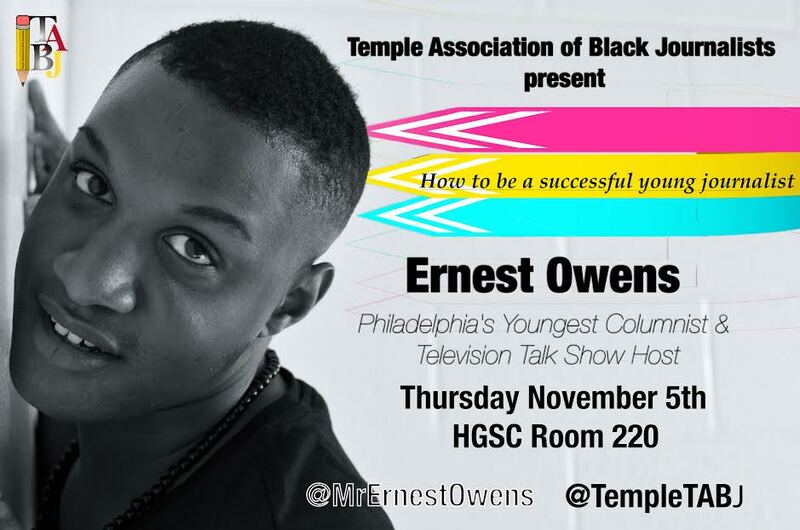 How To Be A Young Successful Journalist with Special Guest: Ernest Owens! Join us TONIGHT for our guest speaker Journalist Ernest Owens! He will be speaking about how to enter into the media industry right out of college. You definitely don’t want to miss this! We’ll be in the SAC in room 220 at 7pm.